The Colorado climate is important to consider when maintaining the exterior of your property. Living at a higher elevation in Colorado, we experience more intense solar radiation. This is because the sun has less atmosphere to travel through. Colorado is not very cloudy which means the sun’s rays have fewer obstacles to absorb it before hitting your property. As a result, ultraviolet (UV) radiation is more extreme in Colorado and a hurdle you have to overcome when painting your property’s exterior. Paint is your buildings first line of defense against the elements. If you properly maintain the exterior paint you ensure that the interior of your property will not withstand any damage. The powerful rays of the sun can cause fading, chalking, blistering and peeling paint. For these reasons, it is crucial to check the state of your property and hire a professional painting company to reapply when necessary. Chalking is when paint starts to form a white powdery surface caused by exposure to moisture and UV radiation from the sun. 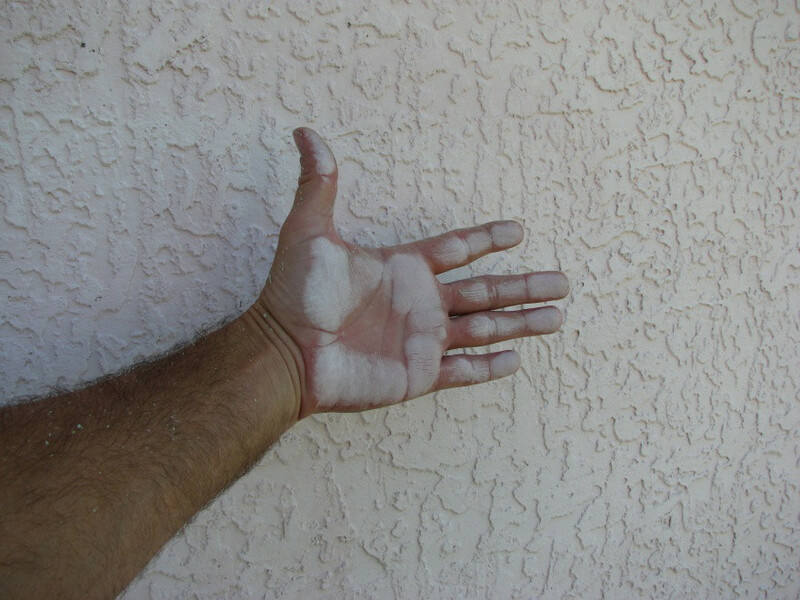 It can look like fading paint, but unlike fading paint, when touched, chalking paint will rub off on your hand like sidewalk chalk. UV radiation degrades the binder within paint film causing the pigment particles to loosen from the surface and form a chalky residue. This occurs more quickly in environments with direct sun exposure for extended periods of time like the climate in Colorado. Paint chalking also happens in hot and cold temperature cycles where there are temperature and UV extremes. These extremes like those experienced in Colorado winters and summers put more stress on the paint coating system. If you notice the exterior of your property is chalking, contact a professional painting company right away! They will properly prepare the painting surface before repainting. Unfortunately, chalking is irreversible and will only worsen over time to create faded patchy spots. The first step to clean chalky surfaces is pressure washing and scrubbing before repainting. UV radiation is not the only cause of chalking paint. Poorly prepared surfaces and misapplication of paint can result in chalking. It is crucial you use the correct type of paint for the surface you are applying it to. You must also apply the paint to a certain thickness to decrease the likelihood of chalking. Using a professional painter protects your property as much as the paint they use will. Professional painters have insurance, proper training and equipment, can warranty their work and know how to properly prepare your property before painting. Tune in next week for the next edition in our Colorado sun series! 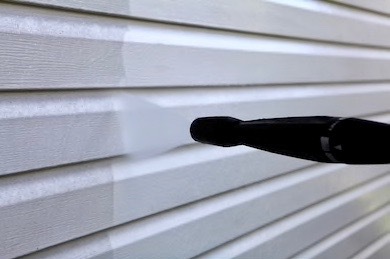 We will discuss blistering paint and how using a professional painting company will save the exterior of your building.